The uptrend on the Nigerian Stock Excision, NSE, entered the second day today following gains in 29 companies, particularly FBN Holdings Plc, Wapic Insurance Plc, Dangote Sugar refinery Plc and other highly capitalised stocks. The uptrend resulted in appreciation in the All share Index, ASI, by 1.03 percent to 42,604.40 points, following sustained demand across most sectors. 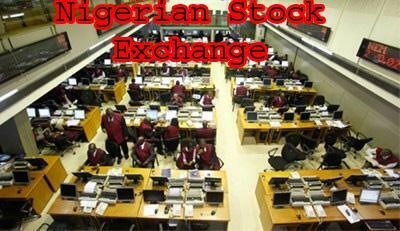 Similarly, equities market capitalisation rose by N155 billion or 1.02 percent to N15.289 trillion. At the end of transactions, FBN Holdings Plc recorded 8.23 percent increase to close at N12.50 from N11.55 per share. Wapic Insurance Plc followed by 6.25 percent increase to close at N0.68 from N0.64. May & Baker Plc and Cutix Plc went up by five per cent apiece to close at N2.94 and N2.80 and N2.31 from N2.20 respectively. Dangote Sugar Refinery closed as the last on the top five gainers table, appreciating by 4.76 percent to close at N22.00 from N21.00 per share. Conversely, 24 losers emerged during the day led by Caverton Offshore Group Plc, which depreciated by 8.77 percent to close at N2.60 from N2.85. Courteville Business Solution Plc trailed behind with 8.70 percent decline to close at N0.42 from N0.46. First Aluminium Nigeria Plc fell by 7.50 percent to close at N0.37 from N0.40. Unic Diversified Holdings Plc placed fourth, declining by 5.56 percent to close at N0.34 from N0.36, while Unity Bank Plc was down 5.52 percent to close at N1.71 from N1.81 per share. The post NSE: FBN Holdings, Wapic Insurance lead N155bn gains appeared first on Vanguard News.